Our limited-edition Gold Series range is the perfect choice for those who appreciate luxury. The golden caramel of this solid wood floor is perfect for inviting some light and warmth into your home, while the coffee coloured knots and grain add some subtle depth and texture. These boards have been wire brushed to improve the texture and look before being oiled to produce a more matte finish. The oil penetrates into the wood providing excellent scratch protection and creates a look that will mature over the years. 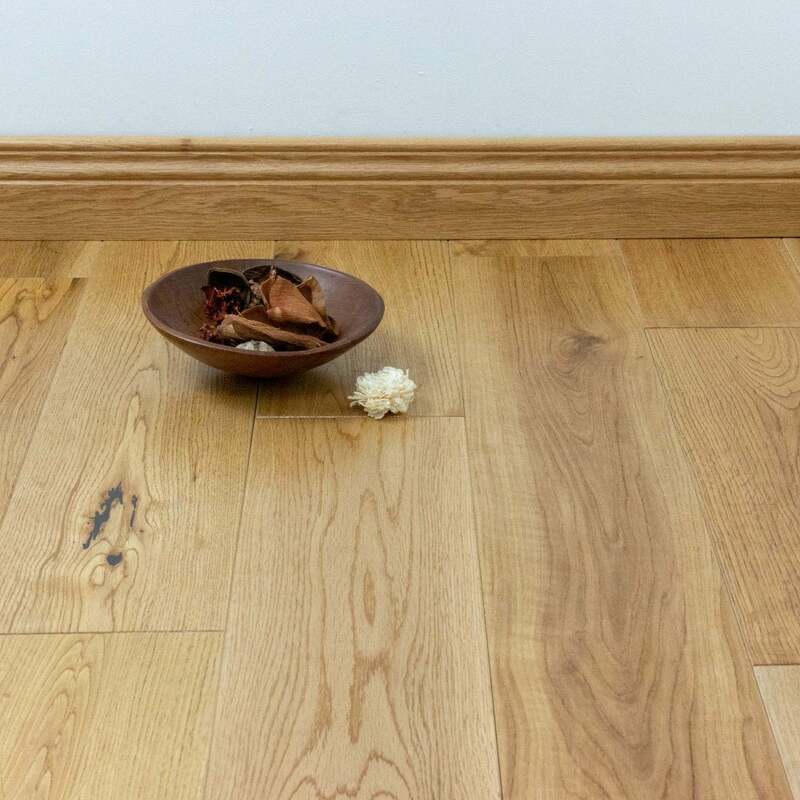 All-natural flooring products will contain a mixture of prime quality boards (no knotting), a proportion of 'first sort' (knots with filler, grain and colour variation) and 'second sort' (oak with larger knots, grain and strong colour variation). As solid and engineered wood flooring are natural products some boards may display heavy grain markings and figuring, wider colour variations and frequent knots of varying sizes and splits in which filler may be used. A floor this gorgeous will not stay in stock for long, so get a free sample today!